For Jersey Shore anglers, this Saturday will be something in the realm of the Super Bowl, opening day of baseball and a summer sunrise all in one. 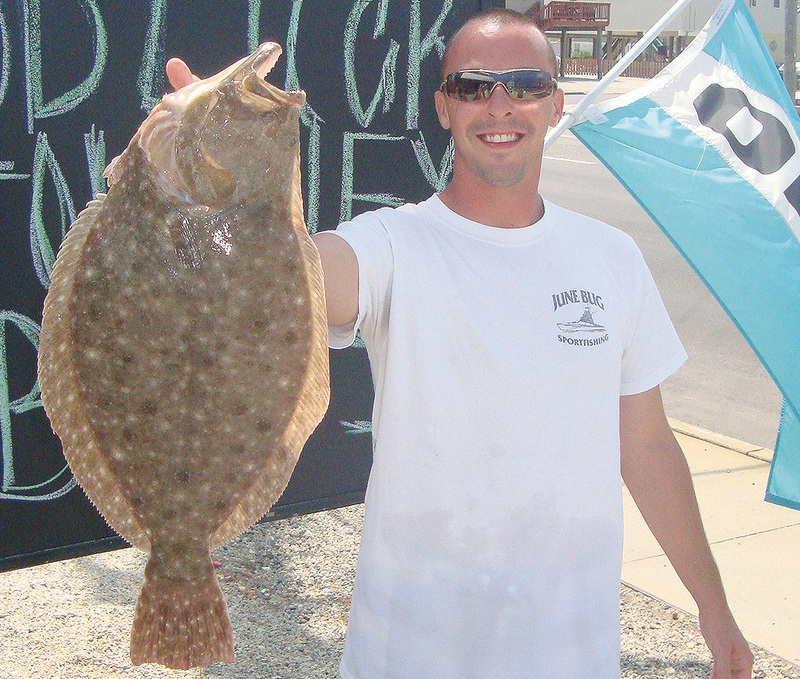 It’s the kickoff of the 2016 summer flounder season – the true unofficial start of summer, when anglers can begin targeting and keeping the most popular (and for many, the tastiest) fish in the sea. Indeed, it can be tough at times. It’s often a tough call to chance finding a large fish out at the reefs and wrecks, or sticking the rivers and bays where most of the fish are hanging out this time of year. Truthfully, there are no silver bullets in catching “Moby Fluke” (as my dad refers to a doormat) but keeping a few basic pointers in mind can raise your chances of bringing a catch home for dinner. I like to use fresh fish strips along with soft-scented baits such as Berkley Gulp this time of year. Any fish strip will work as long as the scales are still on it. Early in the season I keep my strips in a pennant form no longer than 3 inches. When using strips, try to thin the meat so the strip will flutter when jigging lightly, mimicking a live baitfish. Squid strips will also work nicely, especially scented varieties. Scented soft baits like Berkley Gulp in a shrimp form usually will outproduce a Berkley swimming minnow. Live minnows will work, but usually not as well as strips or soft scented artificials in the earlier part of the season, as the fluke aren’t as aggressive as they’ll be once the warm water arrives. Minnows will work better when the water hits the mid-60s. If using a bucktail to entice those early season flounder, start by using white or a combination of white with chartreuse or pink. If you’re not getting results, start trying different colors. I’ve had days when only pink or green would work. Fluke, early in the season, are looking for the warmest water they can find. I like the outgoing tide best with water coming off shallow bays into the deeper channels. Early in year, you won’t find as many hungry fluke in deep holes; sides of channels will work best as the fish will be sitting there waiting for shrimp, small crabs or shiners coming off the flats. Another group of areas that can be productive are the mouths of small creeks. Incoming tides can be productive, as well. Especially on sunny days, think of reversing your strategy, as the fluke will usually be sitting in the same areas but may be right on the top edges of a shallow bay flat. When dealing with incoming tides, keep in mind that the first two hours in and the last 2 hours on the way out, will be the most productive times to fish. Fluke start arriving in early April from their offshore spawn the past winter. Once they arrive they are usually worn out and slow to feed. But keep in mind the only reason they come inshore is to feed and fatten up for the next spawn. Once they recover from their long trip they are ready to eat, and that’s where we anglers come in. Regardless of the type of rig you use, it should have a long leader. My favorite rig is a two-way swivel with a bare 5/0 gold hook on a 36 to 40 inch, 40 pound line made of fluorocarbon. I will add a 3/4 inch in-line float to the leader. In addition, I will add 12 to 14 inch leader to the same swivel as well as a bucktail on the end. I try to keep the bucktail as light as possible in order to avoid dragging the rig through the mud. There are numerous other combinations of rigs and, in colder water, it is best to minimize the hardware on whatever rig you use to reduce turbulence in the water while lightly jigging. One of the most rewarding aspects of spring fishing is the satisfaction you receive when you’ve finally tracked down your target fish. The weather – especially this year – has the fish as confused as all of us. If you’re in a boat, nose around the channel edges and into coves. Try to find an area that is a pathway from one of the main channels, but not too far out of the way. Use your sounder to look for areas of bottom structure, especially where you know there are mussel beds on the sea floor. Just inside Manasquan Inlet, for example, are sizable mussel beds toward Flag Island and Gull Island where fluke are very plentiful. Watch for boat traffic, of course, but switch things up and “think like a fish” to increase your chances of catching one. For reasons known only to the flounder (and probably the bait fish), the largest flounder are particularly active during the slack period of the high tide. They must have a feeding advantage, so if at all possible plan your trip to cover the high tide period. Make sure you get out plenty early to set up and find the right spot and get your drifts planned out to be ready when the fish turn on. With experience you can even plan your day for tidal changes in different areas. Yes, with all the above suggestions, experience and paying attention to details you may actually get those doormats in the box this season. Credit goes to two excellent New Jersey angles – Bill “Bucktail Willie” Shillingford and Capt. Dave Showell, owner of Absecon Bay Sportsman Center in Atlantic County – for their contributions to those five tips. We’ll update you on how opening day went on Sunday (or Monday morning) once reports begin rolling in. This week, we must give a special shout-out to The Dock Outfitters in Seaside Heights, who have signed on as a sponsor of our fishing section this season. They’ll be providing us with excellent reports, photos, and more all season long. One more thing: the regulations for fluke this year. A keeper is 18-inches or higher, and anglers can keep five fish each, per day. Shore-based anglers fishing only at Island Beach State Park may retain 2 fish greater than or equal to 16 inches (total length) while the season is open. The full list of regulations for the season can be found here.